ABC’s newest series is not necessarily a reboot, but it is definitely from the past, a past some of us (not me) are trying to forget. 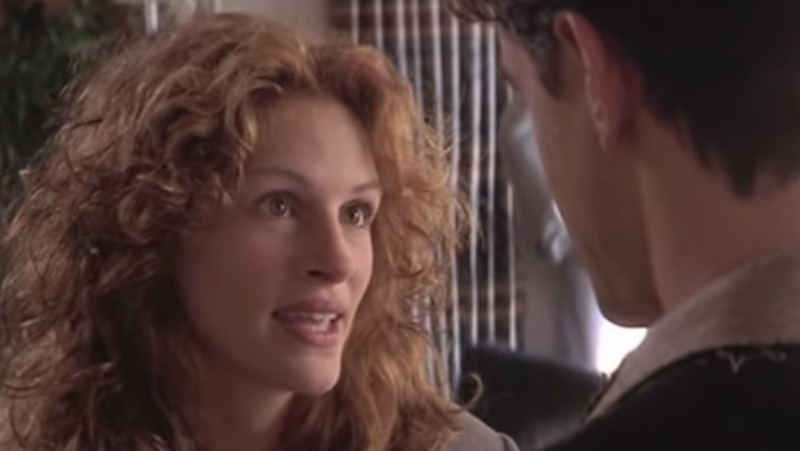 The network has pulled from the Julia Roberts film canon to come up with a new half-hour show, which will act as a sequel to My Best Friend’s Wedding. What in the name of Rupert Everett is going on here? According to the Hollywood Reporter, the new series will pick up just where the 1997 rom-com ended. You remember, don’t you? Julianne Potter (played by Roberts) is a restaurant critic living in New York City. When she and her best friend (Dermot Mulroney) were younger, they made a promise to marry if neither were hitched by the ripe old age of 28. TWENTY-EIGHT! All hell breaks loose when her BFF announces he is engaged to someone else (Cameron Diaz). I remember watching this movie and thought I would be like Julianne Potter someday: a highly revered restaurant critic, wearing blazers and slacks at age 28, slow-dancing with my male BFF to “Just the Way You Look Tonight” while a single tear rolls down my eye. My, how things have changed. I’m curious as to how they will update this classic Julia Roberts flick. Will Julianne be a food blogger? Will they update the dreaded “28” to an age much older? And will she be wearing slacks? The original film’s producers, Jerry Zucker and Janet Zucker, and original screenwriter, Ron Bass, are all signed on for the series. Maybe I can ask them.